Over the last few years we have seen a dramatic increase in ticks. Although the tick prevention we recommend for pets is very effective, no prevention is 100%. For this reason, we have decided to add tick borne diseases to our annual blood screening during heartworm season. We have seen Lyme disease recently here in our clinic which we have not seen in previous years. There is an increased risk of exposure, not just to our patients, but to their owners as well. These are diseases that are contracted through the bite of a tick. The transmission of disease requires the tick to feed for approximately 48 hours. The new test we will be using will test for heartworm along with Ehrlichia and Lyme Disease. Ehrlichia is a blood parasite that is primarily transmitted through the Brown Dog Tick. It can cause blood clotting disorders and potentially lead to kidney failure. Lyme Disease is a bacterial disease that is primarily transmitted by the Deer Tick. Symptoms of Lyme can be difficult to detect as they can be delayed and can go unnoticed. Most common symptom is generalized pain and lameness, often shifting from one leg to another. Can these diseases be transmitted to humans? 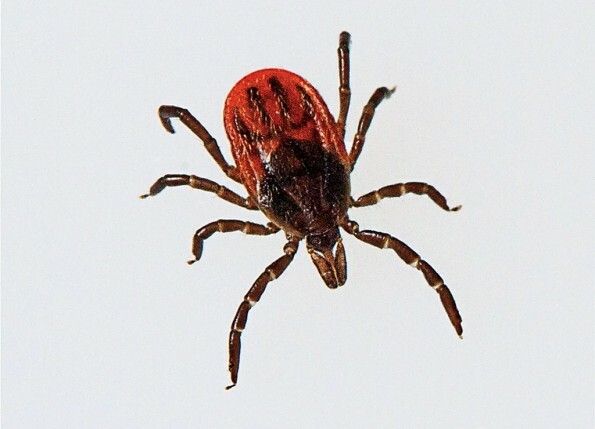 Although these diseases can affect humans, the disease can only be transmitted through the bite of a tick. These are not diseases that you can catch from your pet. Although you cannot get these diseases from your pet and often times even if your pet tests positive, it doesn’t mean they will necessarily become ill, it does mean that your pet was exposed to these diseases. If your pet was exposed, this indicates both you and your dog are frequenting areas containing Lyme Disease. It would be important for both you and your pet to stay vigilant and protected when visiting these areas. For that reason, we feel this test is in our pet’s and their family’s best interest. What happens if my pet tests positive for one of these diseases? If your pet tests positive this does not automatically mean your pet is sick or requires treatment. The veterinarian will talk to you about their travel history and get a detailed update from you regarding how they are doing at home. If your pet is not showing any signs of disease, the veterinarian will advise you on what you should watch out for at home. They may also recommend monitoring blood and urine tests more frequently throughout their life to help catch any changes in their health status early. If you have any questions about the 4DX testing or the diseases they test for, please speak to one of our Veterinarians or Registered Veterinary Technicians.